The PRP Hand Rejuvenation procedure is considered a safe and effective way to lift up the skin and smooth out wrinkles in the backs of your hands. Platelets in your blood contain numerous Platelet Derived Growth Factors (PDGF) also known as Platelet Rich Plasma (PRP)which promote skin health, tone, and texture. When you get a cut, it is the platelets that form the clot. They then release these growth factors that stimulate regeneration of tissue needed for healing. PRP nourishes the tissue, improve skin circulation, and remove damaging metabolic waste. They stimulate skin cells to divide and increase production of collagen protein. This collagen production is what helps correct the visible effects of skin wrinkles. In addition, the hyaluronic acid has also been shown to increase skin tone and volume resulting in a more youthful appearance. Using cutting edge technology, Dr. Adler will isolate the platelets from your very own blood and use them to fill in your wrinkles from the inside out by harnessing the inherent healing physiology of the PRP. 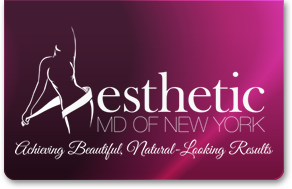 Areas of treatment include cheeks and mid-face, wrinkling around the eyes, smile lines, nasolabial fold, neck and jawline, upper chest (décolletage), acne scarring, hands, upper arms, and more. This procedure is not a surgical procedure. This is a natural procedure that helps restore or enhance the areas of the back of your hands. Improvement of skin texture and tone can be noticeable within three weeks and improvement continues for the next 3 months as more collagen is laid under the skin. The results typically last 12-18 months or longer. For the best result, we recommend three to six treatments, 4-6 weeks apart.